NEW YORK, OCTOBER 13, 2015 /PRNewswire/ – Makovsky, a leading independent integrated communications firm, today announced the hire of Megan Thomas as senior vice president, Health Practice. Thomas brings nearly two decades of health communications experience, including fifteen years on the corporate side as a senior leader for both Sanofi Oncology and Novartis Oncology. She will remain based in Cambridge, Mass., reporting in to leadership in Makovsky headquarters in New York City. With more than 550 biotech and pharmaceutical companies, Cambridge has become one of the industry’s foremost biotechnology hubs. There are currently more than 1,300 drugs in development in the Cambridge region, according to according to the Massachusetts Biotechnology Council, a not-for-profit organization that represents and provides services and support for the Massachusetts biotechnology industry. Prior to Makovsky, Thomas spent five years as Global Head of Communications, Sanofi Oncology, where she led development and execution of Division strategic messaging, communications strategy, media relations strategy, executive communications, company spokesperson management, internal/employee communications, crisis communications and community relations, and reported directly to the SVP of Corporate Communications in Paris. Her previous roles were with Novartis, where she spent five years as a director and senior director of Global Public Relations, Novartis Oncology, and four years as an associate director and director of US Public Relations, Novartis Pharmaceuticals Corporation. The Makovsky health practice has been recognized by industry numerous times for its campaigns and talented staff and the group has been honored with several industry distinctions, including “Healthcare Agency of the Year” by The Holmes Report. Thomas will report to Jones and Peterson, co-Leaders of the Health Practice. 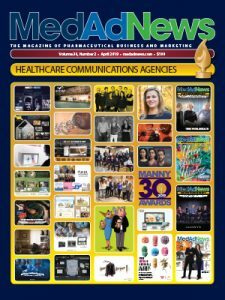 Named “Healthcare Agency of the Year” by The Holmes Report, Makovsky leads the healthcare communications field in its ongoing mission to improve patient health through its award-winning advocacy campaigns, corporate awareness programs, brand communications, and disease education efforts on behalf of biotech, pharmaceutical and health service clients. With expertise across multiple areas of the complex healthcare landscape, Makovsky provides unmatched insight and depth of knowledge for clients navigating the multifaceted interactions among patients, physicians, payers and policy agencies. The firm’s award-winning efforts show creativity in connecting audiences via social media, coalition building and thought leader events. Its commitment to client success has resulted in a year-to-year industry leading client-retention rate since 2004.
www.Makovsky.com | Connect with us on Twitter, Facebook, LinkedIn.